"Your Action is Crucial, Be Waste Neutral"
The Green Schools programme is an initiative to promote environmental awareness in our school. As a whole school community, we will work together to fix environmental issues that affect our school and our city. Our main aim is to promote recycling and the responsible use of school facilities. There are a total of 8 Green Flags organised into different categories. We are currently working on our first Green Flag for litter and waste. We firmly believe that the school environment can be improved for all of us by partaking in this programme. Your action is crucial, be waste neutral. This is my report from Kilkenny for the Litter Less Report. My picture was taken in Evan’s lane, a lane directly beside our school. This litter problem you are about to see has been going on for years. This area seems to be like an abandoned building area that people seem to be using as an easy way to hide litter. A solution I see to this problem would be removing the whole “out of sight, out of mind’ mentality. People think if they can’t see litter, it isn’t a problem. I am hoping my picture will prove this is the wrong mindset to have, especially since this image is so close to a school. People also live right next to this area of litter. 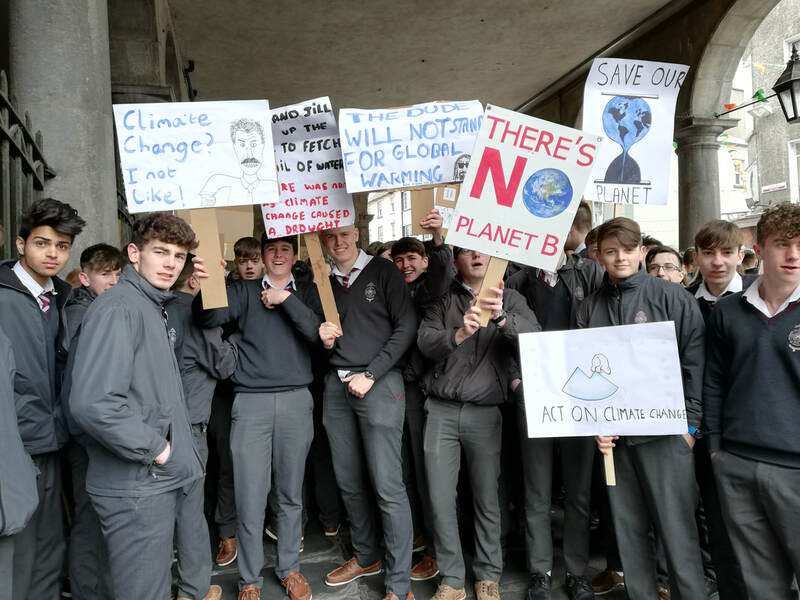 On the 15th of March 2019 our T.Y Green Schools Committee took part in the global climate action movement. Our students gathered at the town hall at 1p.m to demonstrate with students from across the county. The students represented the school with pride and helped spread awareness in their local community. Many of our students were interviewed by local and national media. 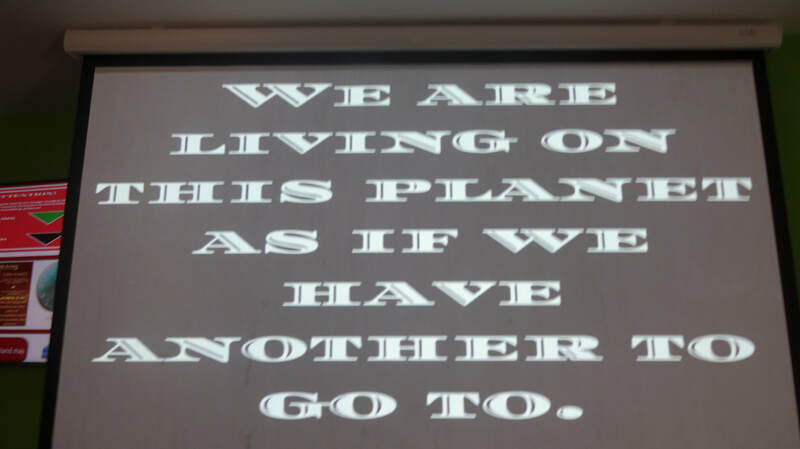 The students are calling on the Government of Ireland to take action against climate change before it is too late. A special thanks to Cllr. Malcom Noonan who was involved in the organisation of the Kilkenny strike. 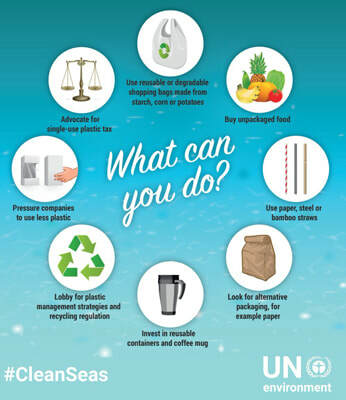 Our Green Schools committee is currently working in conjunction with our Cumann ERST and our World Wide Global Schools committee to promote plastic reduction in our school. On the 28th of February our Green Schools coordinator traveled to the 'Save Our Seas' event in the Dail. We shared and received some brilliant ideas on how to reduce the use of plastic in our schools. It was a fantastic event and well worthwhile. We now hope that with the power of our three student committees working together on this we can see real change here in C.B.S and in our wider community. We are currently working on becoming a plastic free school. As part of this we are currently introducing reusable bottles that will be available for all students .As of now we have made a few actions to promote plastic free school .We have gone onto local radio to promote our new policy of 'Plastic Free 4 Schools' .We talked about introducing new policies on plastic usage and of course working with one of the TY enterprise groups to create our reusable plastic bottles . We hope that all of the school community will support us in our current campaign . We are currently in the process of reducing lunch related waste here in the school also. As part of this we want all students too try and reduce the amount of waste generated in their lunch .This can be done by using a lunch boxes that are reusable and using a reusable plastic bottle instead of buying a plastic bottle daily . Also its important to make these small changes because if every student in the school can make small changes to reducing plastic usage then it will help us make a greener school and one step further to our next green flag . ​Global Climate Change Week aims to encourage academic communities – including academics, students, and non-academic staff at schools – in all disciplines and countries to engage with each other, their communities, and policy makers on climate change action and solutions. ​ At CBS Kilkenny, we will have several activities for the students. For the 1st Years there will be a Poster Competition, T.Y.s will give presentations to the Junior classes and there will be a Photo Competition. There will also be a Climate Action Pledge like the one above that all students will make. Our Green Schools Initiative has been a great success this year. 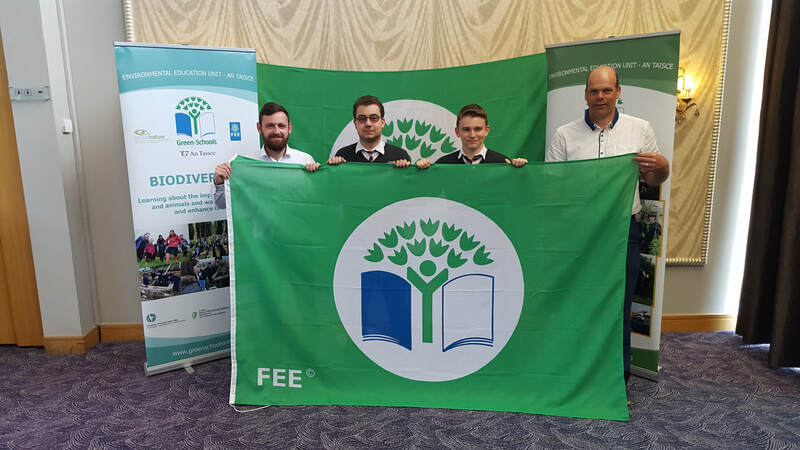 Under the guidance of Mr. Mulhall, Mr. Ahern and Mr. Hanley, our committee led a successful campaign for our first green flag. We have had many notable achievements throughout the year. We are very proud of our waste reduction of 15% and we hope to see a further reduction next year. We would also like to thank our school community, students, parents and teachers for the sustained support of our initiative. It is fantastic to see our wider community come together to tackle a global issue. We look forward to another successful campaign next year. "Your action is crucial, be waste neutral"
Members of our Green Schools committee holding our newly acquired Green Flag. These pictures highlight a national problem on our river banks and canals around the country. We chose these pictures as they display the continued and irresponsible dumping of rubbish around some of our most beautiful areas and walkways. As the cost of waste disposal has increased, so too, has the frequency of illegal dumping, and this is evident in the increase of litter across the city and county. 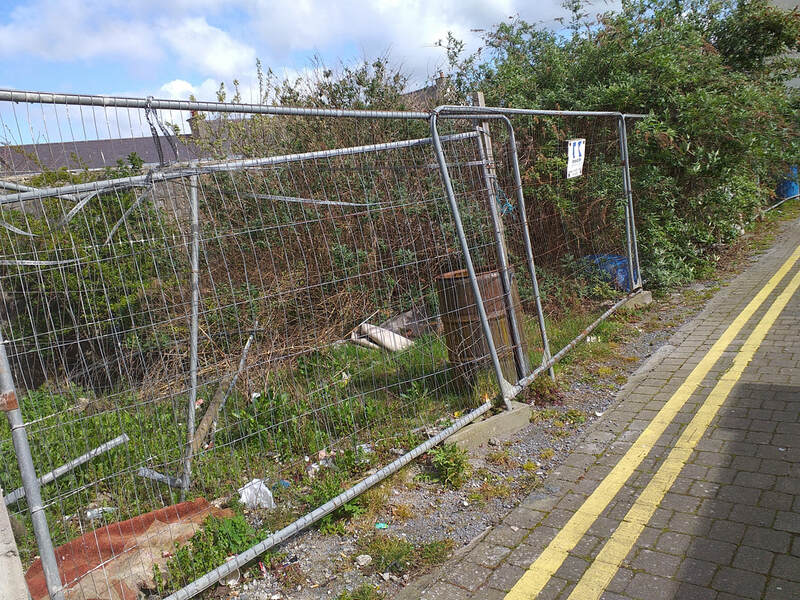 Kilkenny is a former Tidy Town and IBAL winner and it is unfortunate that standards appear to be slipping. In last year's Tidy Town report the importance of biodiversity and rivers in Kilkenny was highlighted. “ Kilkenny has a rich natural environment due to its positioning on the River Nore” It would be a shame if this was destroyed by the few irresponsible inhabitants of Kilkenny. A decrease in waste disposal costs would certainly help with this issue. We recently upgraded our recycling facilities. We received funding from Kilkenny County Council and held a raffle to raise the money required. We have now installed a food waste and recycling unit in the Bialann. We have also placed mixed recycling bins in all of the classrooms. We are delighted with our new facilities and we believe we now have the infrastructure required to match our ambitions. Our students have taken full responsibility for the new bins and our T.Y students monitor and empty all new bins. "Your Action is Crucial, Be Waste Neutral"
The most powerful tool for change we have is education. 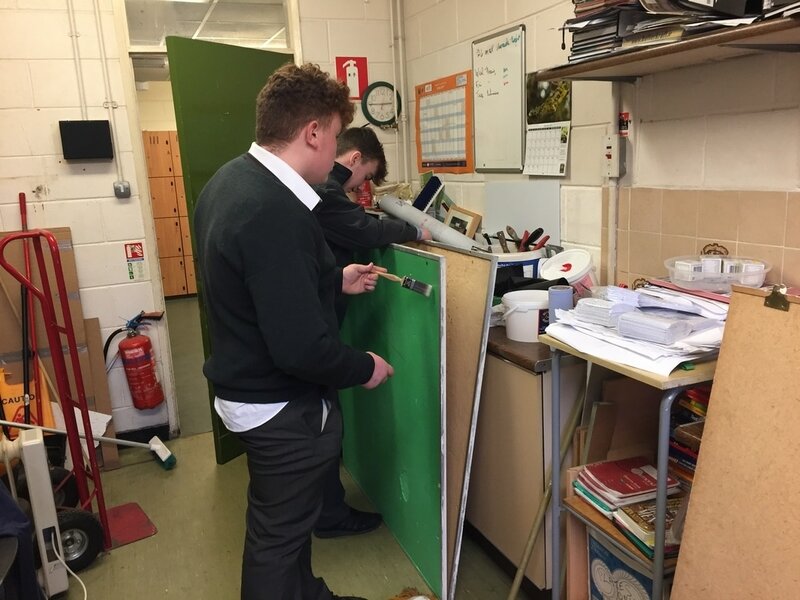 Here at CBS Kilkenny we are putting a huge emphasis on educating all staff and students on the best practice surrounding the 3 R's - Reduce, Reuse, Recycle. 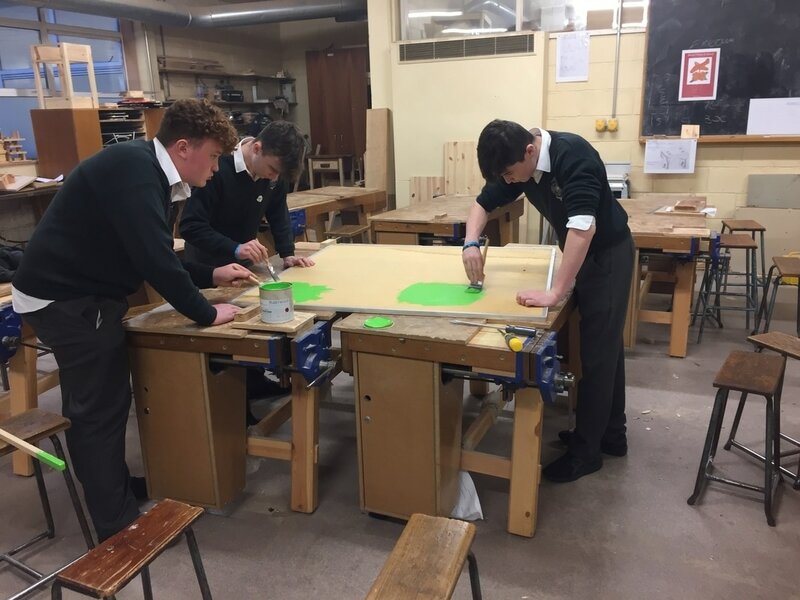 We have also expanded our Transition Year Programme and we now have a dedicated Green Schools Module. 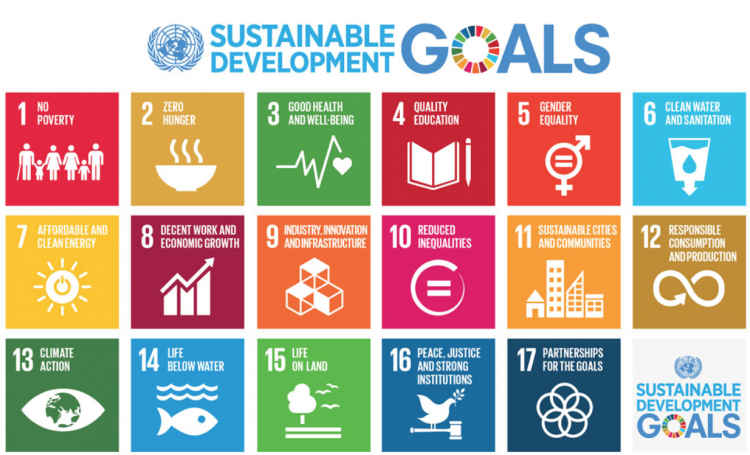 As part of this we look at wider issues such as the UN Sustainable Development Goals. In particular we look at Goals 11, 12 and 13 as these correlate with the theme of litter and waste. All T.Y students will now receive a certificate for their participation in 'The Worlds Largest Lesson' which is based on these goals. We have also created resources for teachers to use to help them implement the programme in their own classrooms. 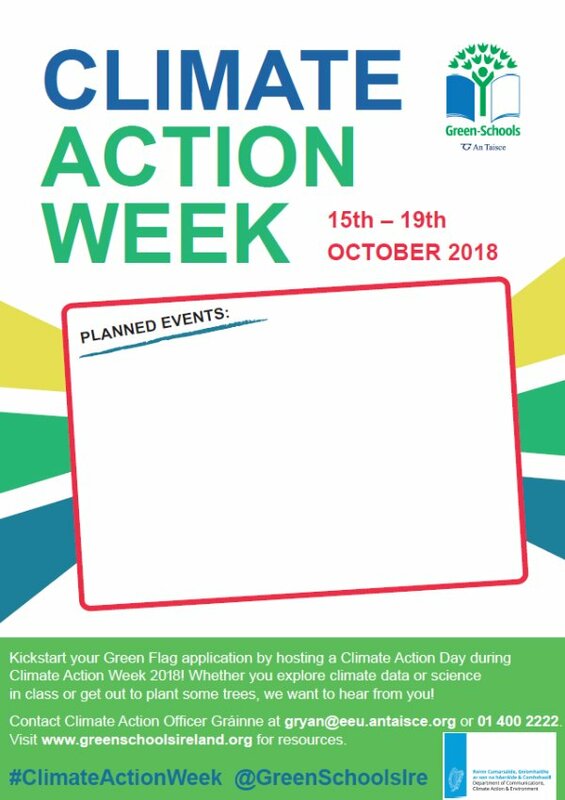 In co-operation with Mr. Clarke, the Green Schools Committee has planned out a Day of Action to promote the Green Schools ethos and to raise awareness about the littering and waste management issues in our school and local community. ​As part of our Day of Action, we completed many other activities. During the week, we asked all teachers to focus on curriculum links in their classrooms. As part of this, C.S.P.E. teachers were given resources based on Gavin Harte and his work. Religious Education teachers were given resources on environmental development. Geography teachers were given resources on sustainable city models. Language teachers were asked to focus on essays or relevant resources based on the environment. Alongside the Day of Action, the Green Schools Committee worked with Science teachers, as Science week was also running. They were given resources based on sustainability and materials. All of the aforementioned resources were prepared by the Green Schools Committee. 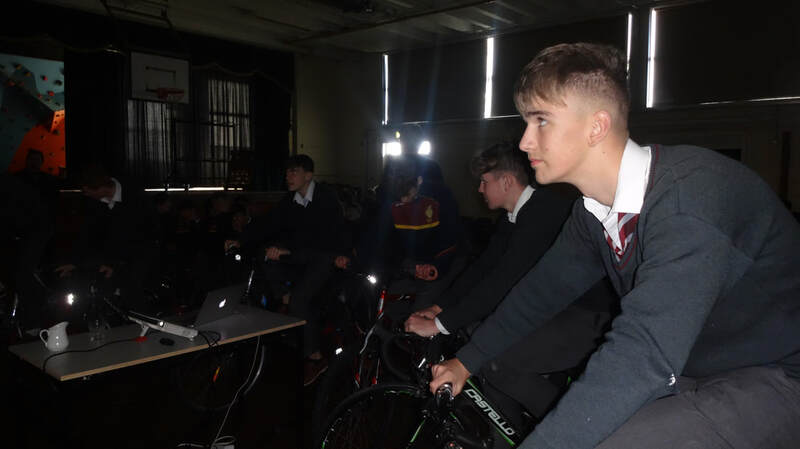 On the Day of Action, we ran the Pedal Energy Workshops with Mr. Gavin Harte for all students. The workshops were a great success, and it helped us promote our program, both in the school and in the wider community. Students were shown the effects of litter and waste, wasteful energy usage, and were also given tips to improve their recycling habits. 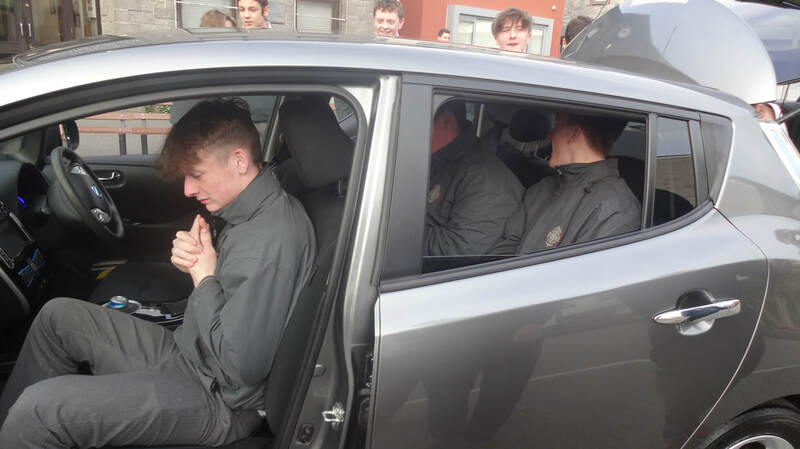 The Green Schools Committee would like to thank all the students and staff that took part in the organisation of the day, especially Mr. Mulhall and Mr. Clarke. 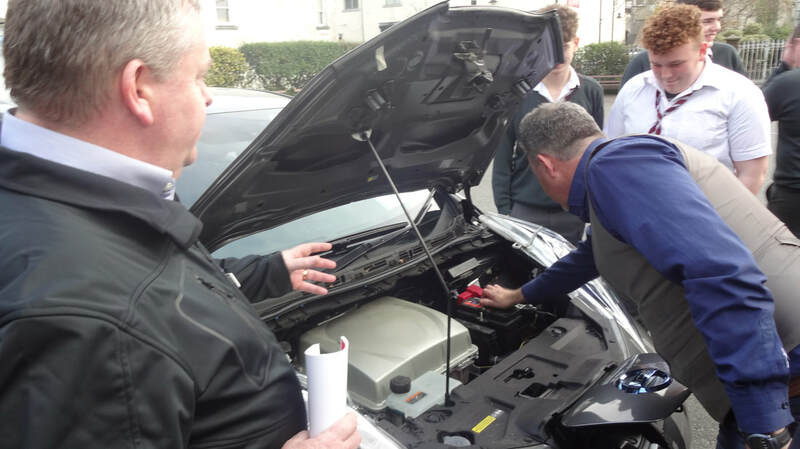 We would especially like to thank Mr. Gavin Harte for his well-organised and educational workshops that helped all of our students think greener. Since we began this initiative in September of 2016 we have made considerable progress. We have had a number of guest speakers, such as Malcolm Noonan, visit our school to talk to our students about various issues surrounding litter and waste. We have put up a Green Schools notice board and formed a committee. On the notice board we display information and news about our progress for the school community to read. We have completed a waste audit and published our results to the school notice board. Our Transition Year students have been a fantastic help in organising and planning different elements of the programme so far. We have our Action Plan in place and we are hoping to upgrade our recycling facilities before September 2017. ​We aim to have our first Green Flag by the beginning of next year. We are hoping to be examined in December 2017. In the meantime we hope to reduce our litter output by a minimum of 20% and increase our recycling. We have put an action plan in place aimed at targeting the main litter problems in the school. We aim to do a school-wide clean up and go out into the surrounding areas and clean up there too. 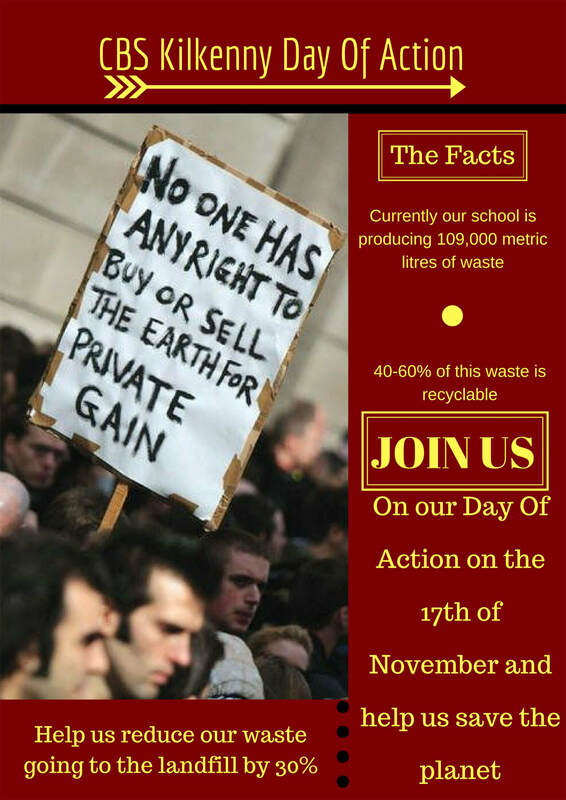 We hope to tackle the black spots in the school and the surrounding areas and complete a second waste audit. Our Green Schools Initiative has wider benefits for our school and the scope of this can be seen in the involvement of Green Schools in school activities. Earlier in the year we celebrated Catholic Schools Week. The theme was conservation and we highlighted the links between this and our own litter and waste programme. We also provided first aid, stewards and litter collection at the annual Fun Run and this proved to be a great success. Our Committee ensured that there were suitable recycling facilities provided for students and done a sweep of the Castle Park to ensure that we left the park as we found it. Many thanks to the Committee for their hard work on the day. ​The issue of litter and waste is one that is of vital importance in today's world. With the effects of climate change becoming more clear with each passing day we need to address the issue. We aim to educate our students and staff on what our actions can do to help or hinder the environment. ​​For more information and tips click on the links below.